Online Payment Processing Platforms can be seen as those platforms designed to help you carry out transactions online such as bank transfers, payment for goods and services etc. In Nigerian, we have lots of online payment processing platforms that allow you to receive and make payment through their websites or through merchant website and Apps, in most cases you only need your ATM card to handle any transaction online using your personal computer or smartphones. 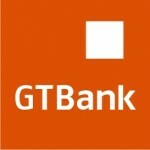 As I said earlier there are many online payments processing systems in Nigeria which I will be listing below and as well explain how they function. Interswitch was launched in 2015 as a payment processing platform that allows Small, Medium and Large Scale businesses to integrate and accept online payment from their customers as they recently launched Quickteller, a consolidated payment scheme that offers cardholders convenience and the ability to carry out ATM transactions other than cash withdrawals such as sending and receiving money, Buy airtime and data, pay their bills and lots more. Paga is a merchant based online payment system that allows Nigerians to receive money from other Paga customers, on the other hand Paga allows individuals to fund their Paga online account through their bank and use the money in their account to handle other payments such as Nepa bills, cable TV subscriptions and as well send money to other Paga users. To make transactions convenient and easier Paga created a shortcode my242 (*242#) that enables their users to handle their transaction with ease using a shortcode, they also have an Android app that can be downloaded from Google play store. Voguepay platform is categorized into a personal account for personal users and business account for Small, Medium and Large Scale businesses to integrate and accept online payment from their customers. ⇒ Business Intelligence and analytics tools. ⇒ Free integration and more. Remita might not be familiar to you but they are one of the best online processing systems in Nigeria specifically designed for small, medium and large scale business owners to help them integrate and accept online payment from their customers directly from their website or mobile app. Remita lets you see all your bank account balances, from any bank, on one screen. Easily get paid by simply generating and sharing payment requests (or e-Invoices) with family, friends, and customers. Enjoy the convenience of switching easily from your personal to business accounts, and back again, whenever the need arises. Whether you're a 2 or 200,000 sorganizationisation, Remita can help manage your payroll & HR management needs. eTranzact is the best and Nigeria’s first award-winning multi-application and multi-channel electronic transaction switching and payment processing platform covering other countries which includes Nigeria, Ghana, Kenya, Zimbabwe, South Africa, Cote d’Ivoire, and UK etc. ETranzact was launched in September 2003, and has today evolved into a brand with the global reach extending its innovative services to include products which cut across virtually all aspects of the e-payment space; ATM, Internet, POS, and Mobile. The company currently has operations in six other countries around the world; South Africa, Ghana, Zimbabwe, Kenya, Cote d'Ivoire, and the United Kingdom. 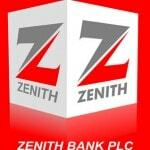 Zenith bank created a web-based payment platform called Globalpay that allows individuals and business owners to integrate and accept online payment from their customers on their own website and mobile app. With a one-time Zenith Bank Globalpay integration, you will be able to receive payments from a wide variety of locally and internationally issued credit and debit cards. This solution gives your business a global outlook and vastly expands your potential customer base. ⇒ Increases your purchasing power. ⇒ Enhances security via 3-D Security implementation. Simplepay online payment platform is perfect for small businesses, online merchants, individuals and others currently underserved by traditional payment mechanisms while allowing users to send payments for free through Personal computers and smartphones. The online payment platform will suspend any registered persons or account that is found to be involved in any fraudulent or malicious activity, including impersonating a representative or attempting to gain other users passwords. Any decision made by, its officers, or representatives will be final. I have justed finished listing the most popular online payment processing platforms in Nigerian but there are other platforms similar to those ones I mentioned above. Finally, remember that each online payment processing platform has their own terms and conditions and I recommend you to carefully read the terms and conditions before joining of the platform.